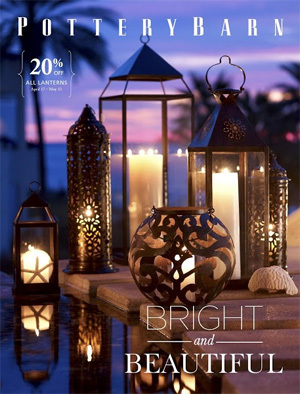 Pottery Barn catalog is filled to the brim with high quality items to turn your house into a beautiful home. The Pottery Barn catalog features furnishings for every room in the home, decor for every season and organizational solutions for every space. There are beautiful, well crafted items for entertaining as well.